Not in my library yet but I’ve downloaded the samples on my iPhone, trying to decide which to read first. They all look good. Since hearing Ann Patchett praise her preview copy this summer, I’ve been waiting for this book of short stories by the famous actor. According to Ann, he can write too. If a family reunion during the holidays has you apprehensive, the premise of this story may help prepare you. After returning from disease infested Liberia, Olivia returns to England but must be in quarantine for seven days. This family has never spent that much time in each other’s company and it promises to be quite a Christmas. Psychological suspense with shades of The Talented Mr. Ripley – noone is who you think they are – sounds deliciously thrilling. 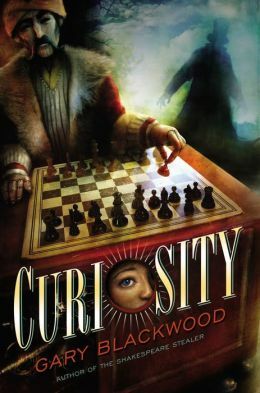 Although Gary Blackwood’s historical novel – Curiosity – is targeted for middle-schoolers, this tale of a young chess wizard has adventure and intrigue appealing to adults. Like Brian Selznick’s story of Hugo Cabret and the famous Automaton, Blackwood uses a mechanical figure, Otto the Turk, as the key character. 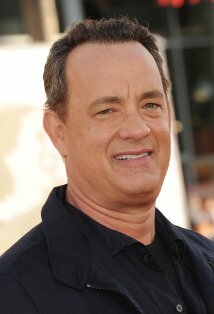 Otto resembles the Swami who changed Tom Hanks from boy to man in the movie “Big”; in his prime, Otto played chess, with the help of twelve year-old Rufus. Rufus could be a character in a Charles Dickens novel; he is banished to the House of Refuge when his father, a defrocked minister who dares to preach evolutionism, loses his position and is sent to debtor’s prison. As he is trying to make money to buy food and blankets for his father (this is the mid 1800s in Philadelphia), Rufus’ talent for chess is discovered by an unscrupulous carnival man, Maelzel, who owns an exhibit of automatons. To escape the orphanage, Rufus agrees to conceal himself inside the cabinet below Otto the Turk and play chess against ticket-paying customers. Rufus secretly works the chess board, as Otto seems to beat all challengers with Rufus’ amazing skill at the game. 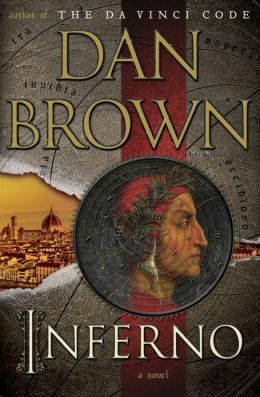 Although Rufus is promised a small salary with which he hopes to help his father get out of prison, he must always remain hidden to avoid the secret of the Turk being discovered. He can never go out, and he struggles to get enough to eat, to not be beaten, and to find a way to survive. Blackwood includes a wild cast of supporting characters based on real people: Jacques, the legless mechanic who brought Otto back to life; the author, Edgar Allan Poe who is determined to reveal the ruse; P. T. Barnum appears in a minor role, with his fledgling “Believe or Not” business. Historical details lend realism and offer glimpses of a world with cholera and without electricity – when machinery was a curiosity rather than a means of making life easier. The real “curiosity’, however, is the narrator, Rufus, with his hunched back and brilliant mind. As he tells the story – a character dealing with the scorn of being different and the physical pain of his deformity – Rufus emerges as a hero. Full of suspense, mystery, and drama, Curiosity has rightfully been mentioned for this year’s Newbery Award possibilities. Don’t worry if you are older than twelve; the book is still worth reading; it’s a great story. Bookstores are closing; e-books are gaining popularity; Amazon is positioned to publish without paper; would-be authors can self-publish – reading books is not what it used to be. In her article for Sunday Business in the New York Times – The Bookstore’s Last Stand – Julie Bosman targets Barnes and Noble as the last bastion for brick and mortar publishers. Ironically, the megastore now in jeopardy was one of two (Borders now gone) that threatened the demise of independent bookstores (just like Tom Hanks and Meg Ryan: Fox Books vs. The Little Shop Around the Corner). Banking on the Nook to save their storefront operation, Barnes and Noble may have to follow Amazon, expanding into toys and games to attract customers. Evidently, books may not be enough to tempt buyers. Independent book stores are hanging on, supported by their faithful customers, using the social media like Facebook and Twitter to connect with the electronically bent. Book Soup, conveniently positioned near the stars in West Hollywood, regularly offers book signings and discussions with those rich and famous, who also wrote books. Others, Like Politics and Prose, in Washington, D.C., maintain a following with newsletters, events, and posts that reach beyond the Beltway. Some small bookstores offer a flavor of comfort and exclusivity, and readers seek them out – like the Annapolis Bookstore on Maryland Avenue. 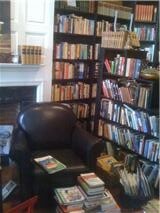 Do you have a favorite independent bookstore that you frequent? 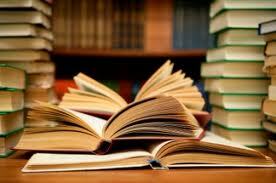 Have you bought a book there recently?